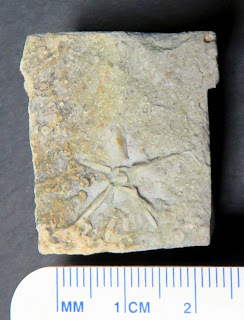 Fossil plate was found in the Edwardsville Formation of Floyd County, Indiana, USA. The fossils date to the lower Carboniferous (Mississippian) Period. 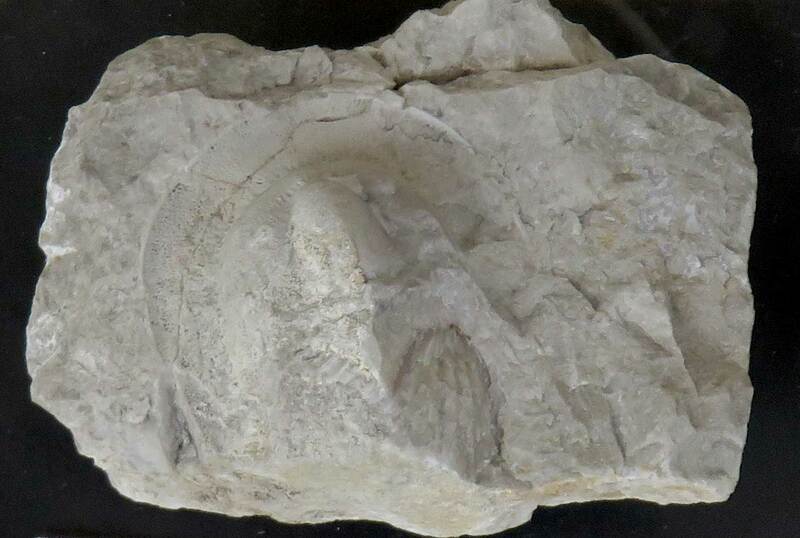 The brachiopods on the plate appear to be Orthotetes keokuk. 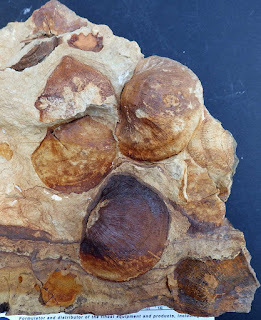 It is somewhat rare to find so many clustered together. 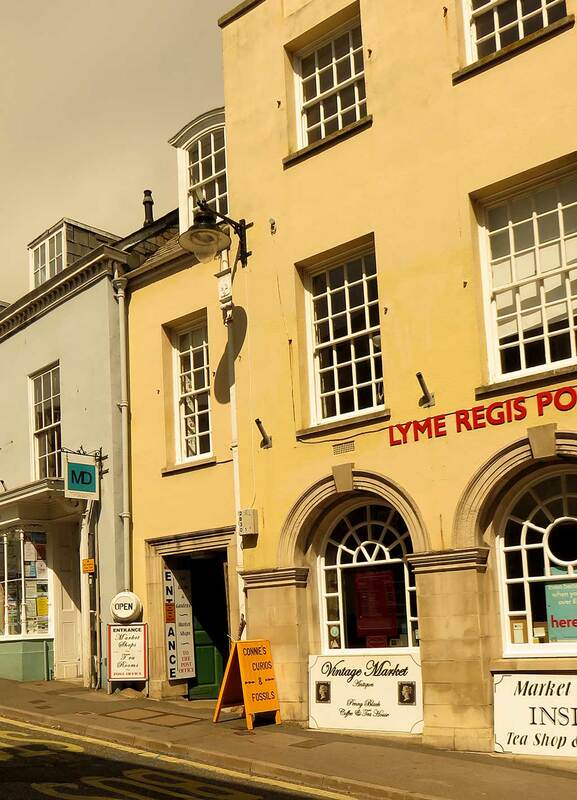 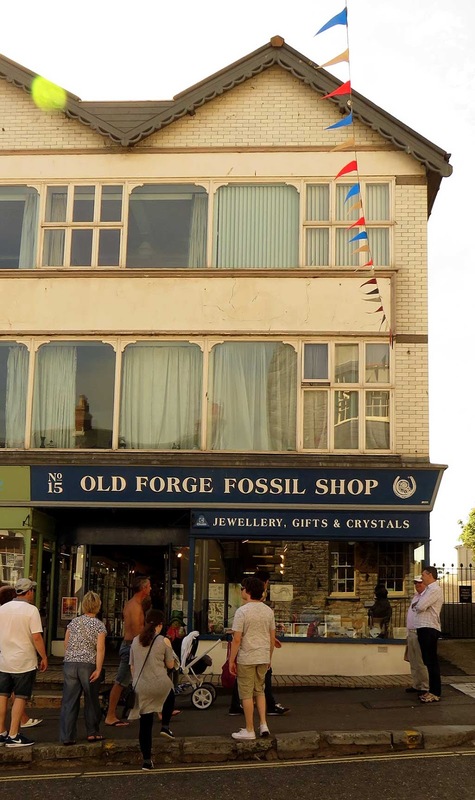 My favorite place to buy fossils in Lyme Regis, England was not really a dedicated fossil seller at all. 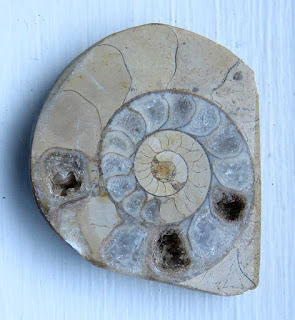 The small out of the way shop was called Connie's Curios & Fossils which was next to the post office. 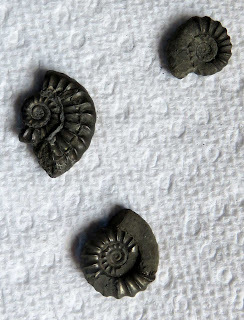 I had visited 3 larger more prominent fossil stores and my main focus was finding fossils from the area. 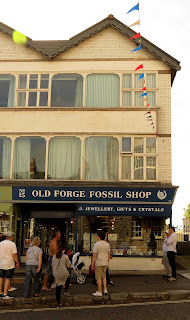 While the other shops had nicer more expensive fossils this store had small bags of mostly fossils in the rough from the area. Once I got back to the United States I started using a dental pick and engraver to remove matrix to show more of the ammonite fossils. 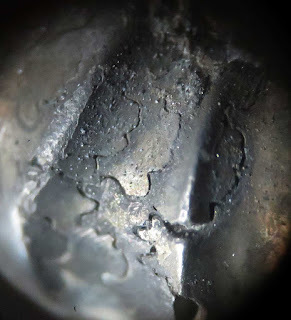 I was also able to get the pyrite to shine more. 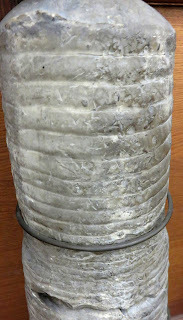 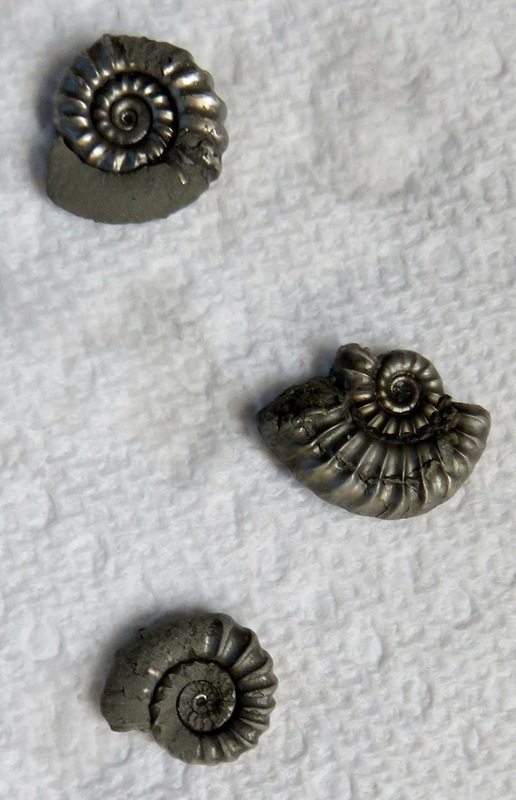 Image of ammonites before cleaning. Image of ammonites after cleaning. This fossil is an Encrinurus punctatus Brunnich trilobite. 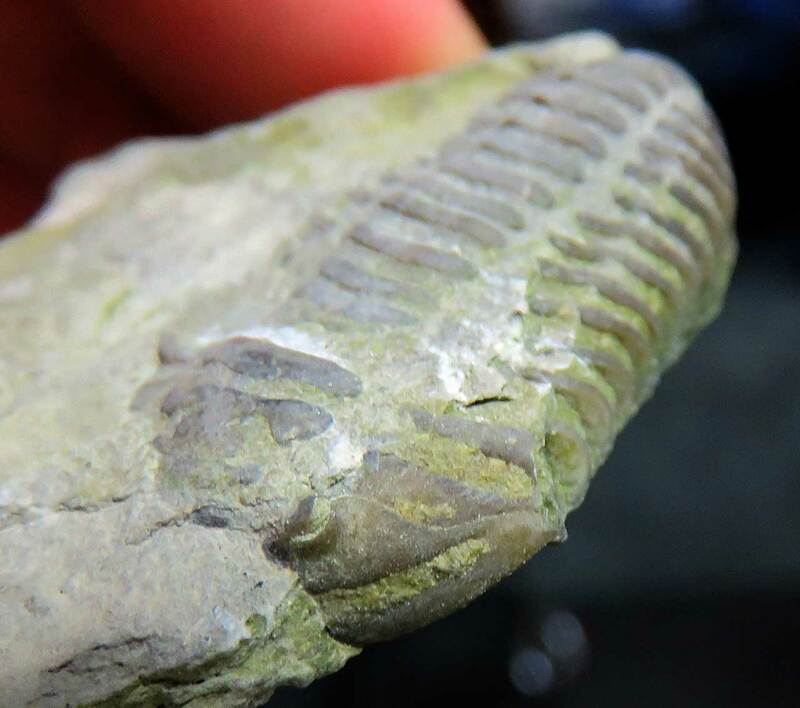 The fossil was found in Dudley England. 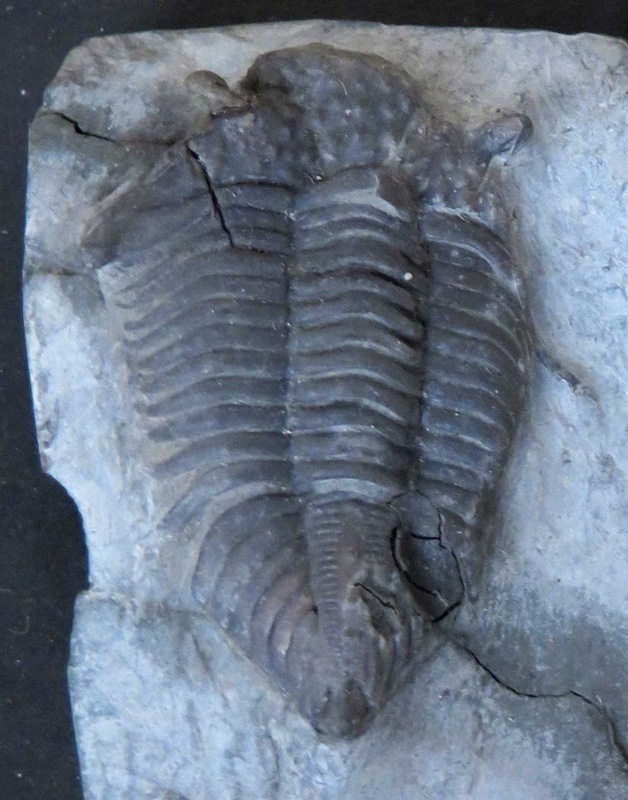 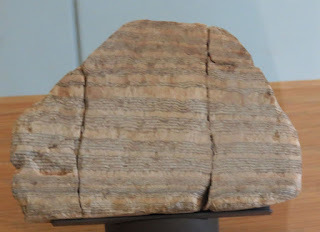 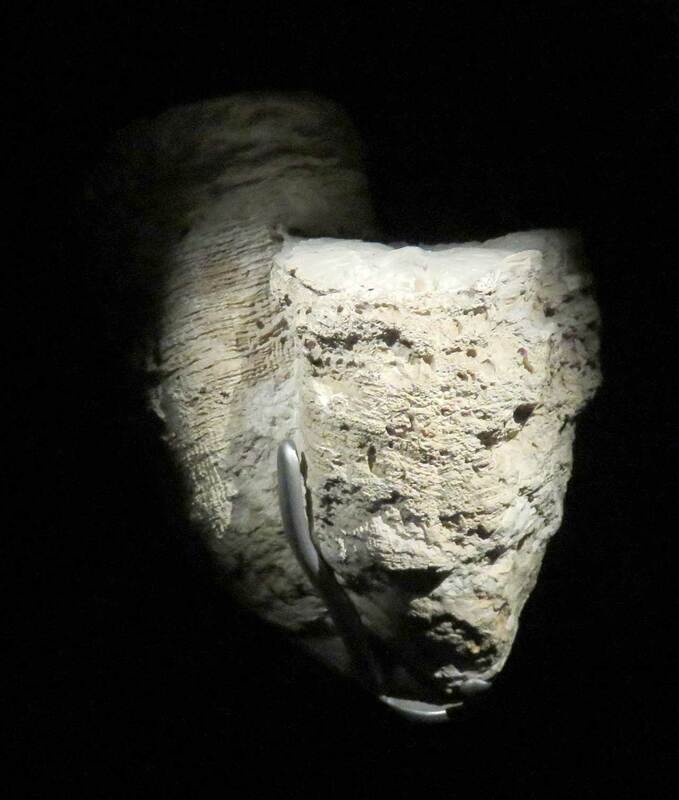 It dates to the Silurian Period. 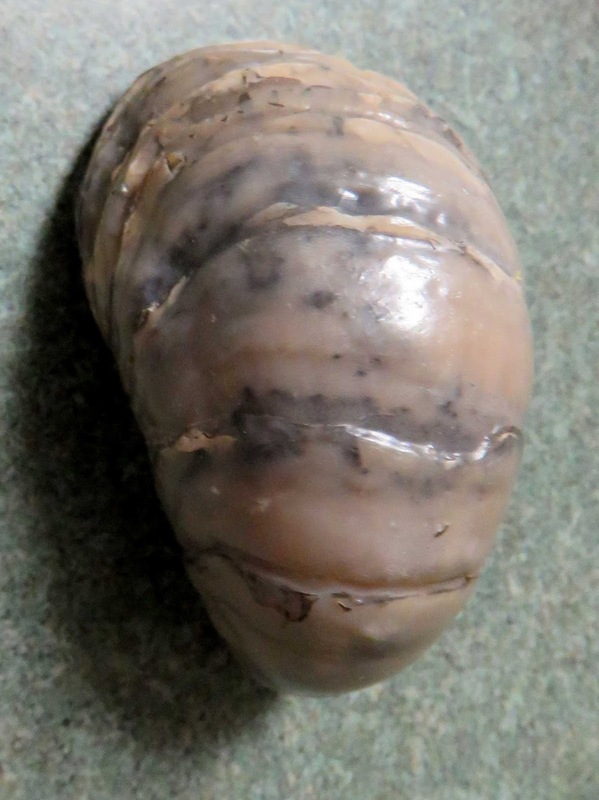 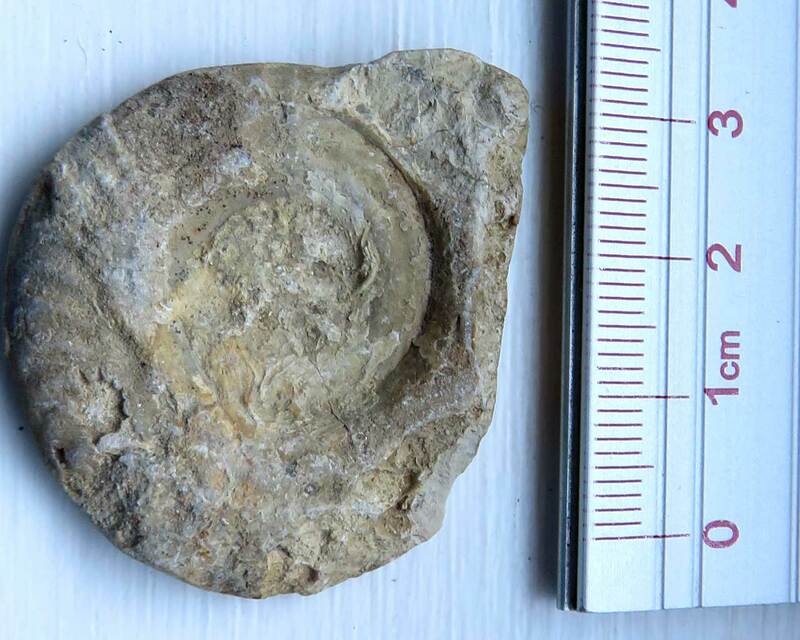 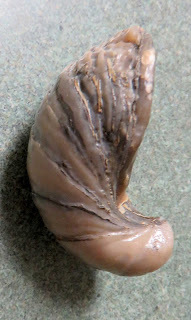 On a recent visit to Lyme Regis, I was able to purchase the fossil oyster that appears to be a Gryphaea arcuata. 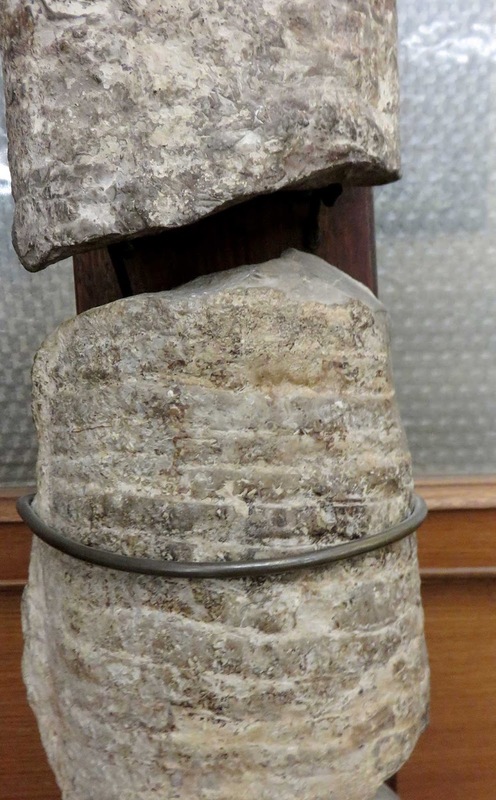 It was found in the Blue Lias of Lyme Regis Dorset County England. The creature existed in the Lower Jurassic Period. 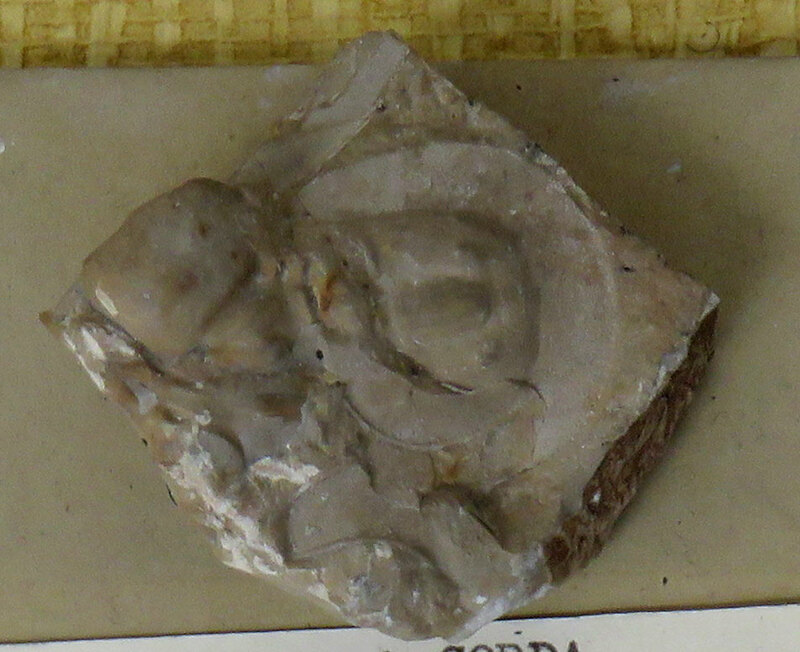 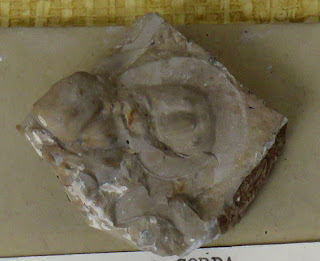 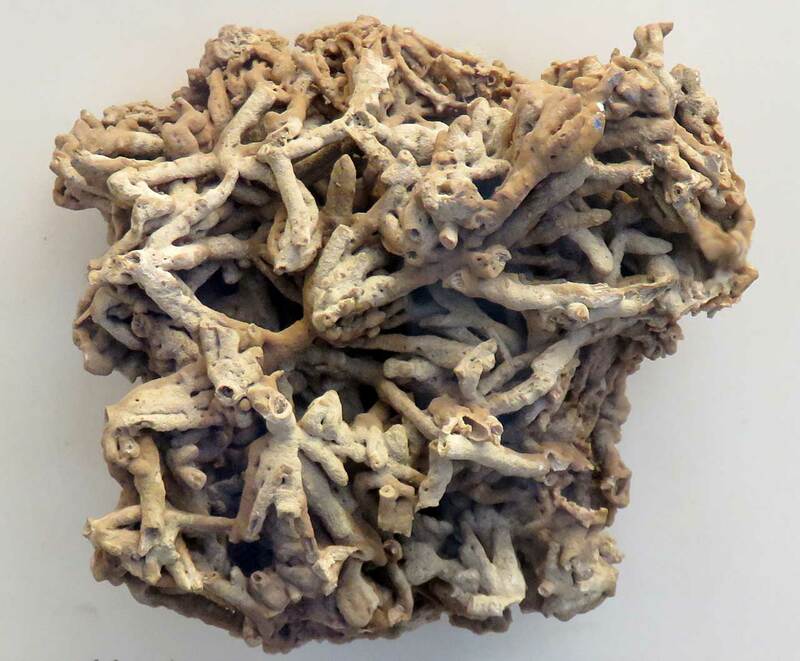 This fossil appears to be a Pterotocrinus rugosus crinoid. 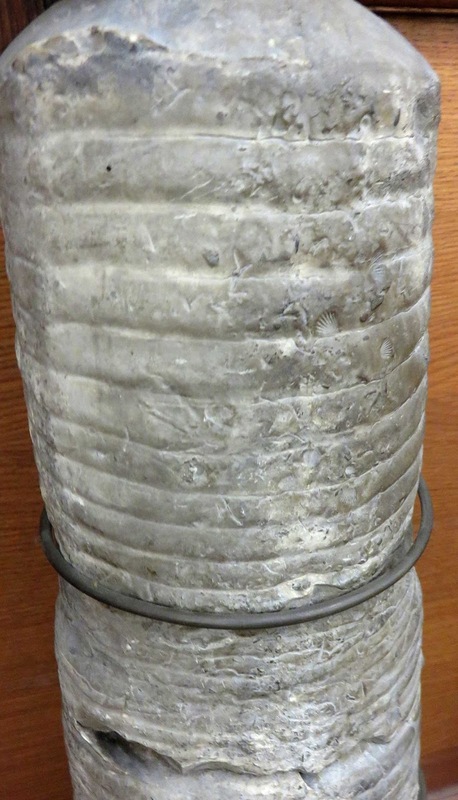 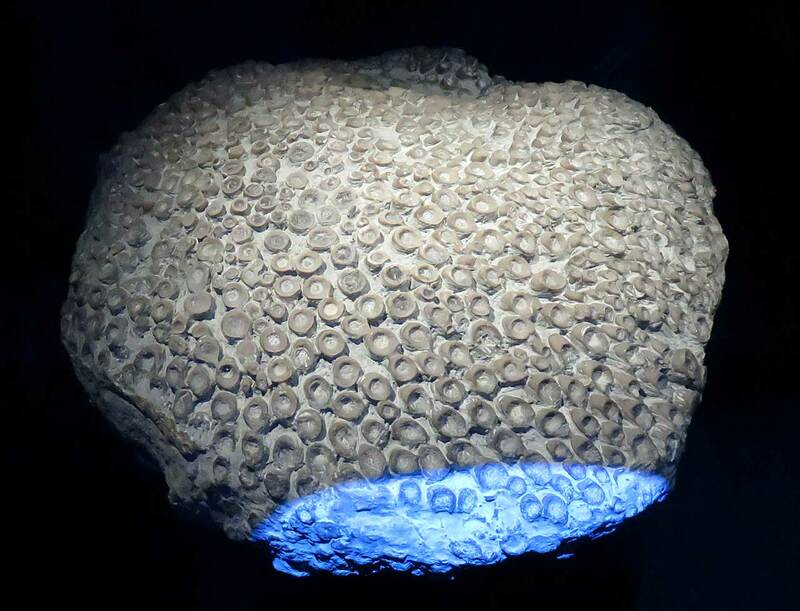 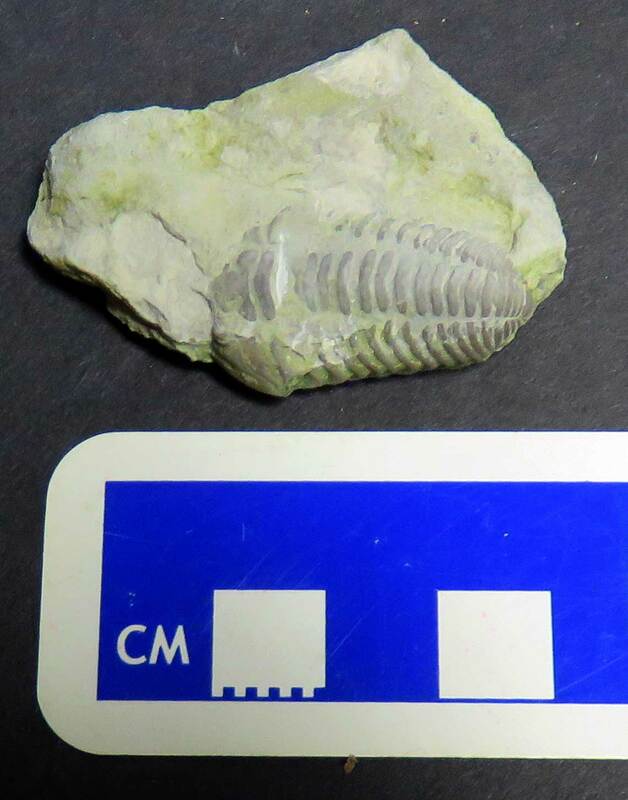 It was found in the Indian Springs Shale - Glen Dean Formation of Crawford County Indiana USA. 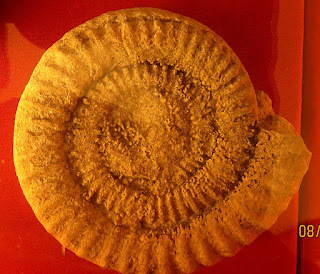 The animal existed in the Mississippian Period. 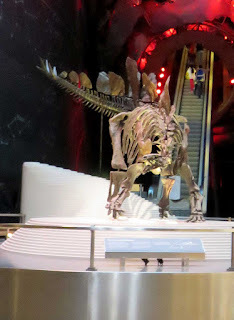 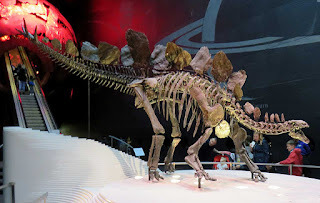 The Natural History Museum in London England has a special hall for the marine reptiles found along the country's south western coast. One the country's most famous paleontologists is credited with finding a number of these intact skeletons, Mary Anning. Her story starts off with her brother Joseph finding a relatively intact head of an ichthyosaur (Temnodontosaurus platyodon) in 1810 or 1811. The above picture is of this skull. The rest of the body was found by Mary a few months later in Lyme Regis, Dorset, England. 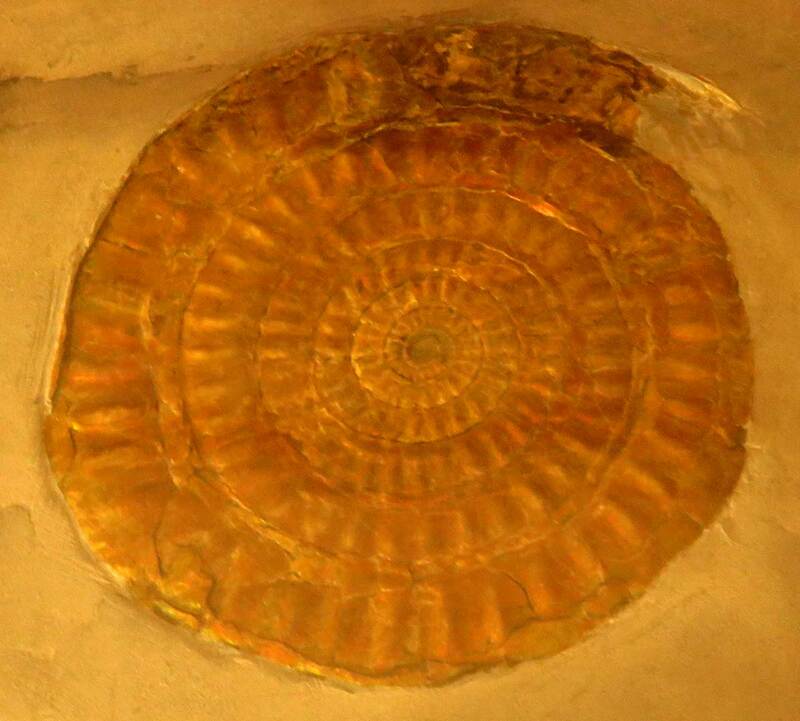 The creature existed in the Lower Jurassic Period. 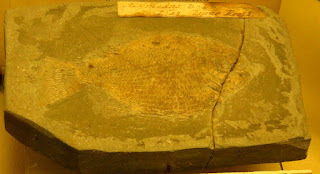 It is specimen R1158 purchased from Bullock's Museum Piccadilly in 1819. The fossil was documented in 1814 in the Philosophical Transactions of the Royal Society entitled "Some Account of the Fossil Remains of an Animal More Nearly Allied to Fishes Than Any of the Other Classes of Animals" by Everard Home. Read June 23, 1814. 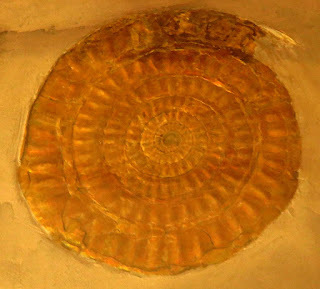 The fossil was illustrated in publication as well. 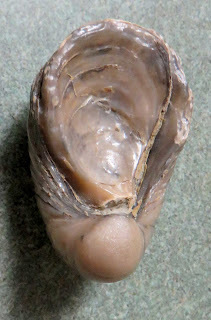 See image below. 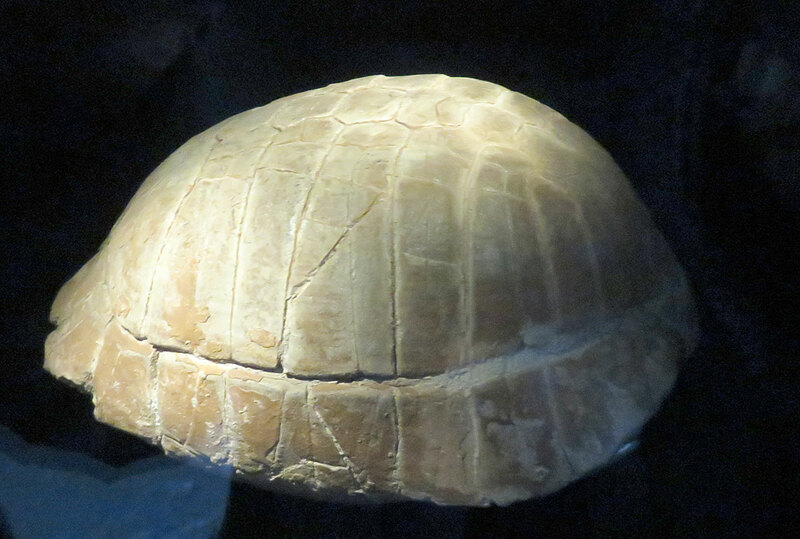 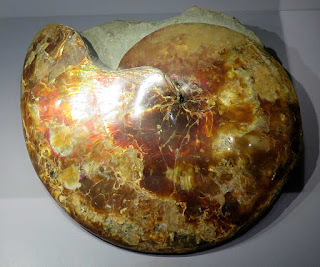 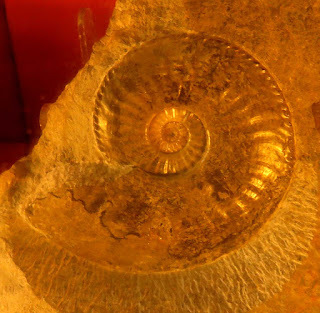 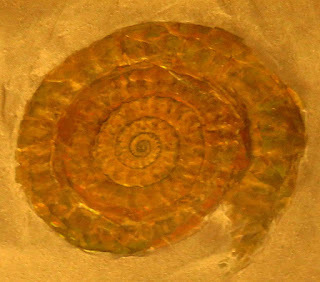 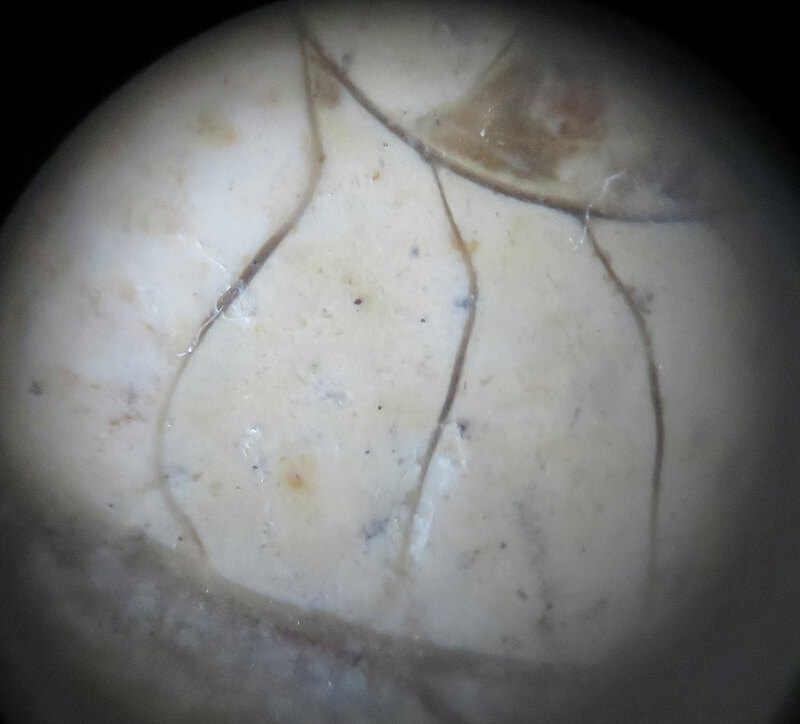 Picture of aragonite ammonite shell fossil of a Sphenodiscus sp. The creature existed the late Cretaceous Period Upper Maastrichtian stage. Fossil was found in Fox Hills Formation of South Dakota USA. 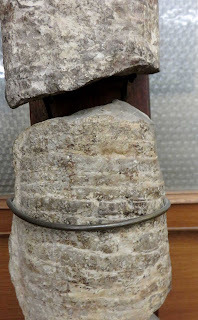 Specimen was on display at the Muséum National D'Histoire Naturelle Minéralogie et Géologie in Paris France (August 2016).